The constitutional challenge to Prop. 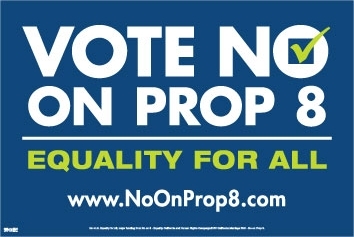 8, Calfiornia’s initiative banning gay marriage, went to trial on Monday in San Francisco. STEPHEN ROHDE will comment, he’s a constitutional lawyer, lecturer, writer and political activist. and Chair the ACLU Foundation of Southern California. Also: FDR provides the model of a liberal activist president against which Obama is being measured – historian ALAN BRINKLEY will talk about what FDR did—about the banks, unemployment, social security, and racial justice–and how he did it. His new book is Franklin Delano Roosevelt. Plus: Palestinian life in Gaza – now, and in 1956, when Israelis killed 275 people in two forgotten massacres. JOE SACCO, the pioneering comics journalist, will tell that story—and explain why it matters now. His new book is Footnotes in Gaza. He will be reading and signing next Tues., Jan. 19, 730pm, at Skylight Books, 1818 N. Vermont Av. SEE Joe Sacco’s drawings from Footnotes in Gaza HERE.